A dramatic tale worthy of Dostoyevsky, The Fool tells the story of one man's fight against a corrupt political system. 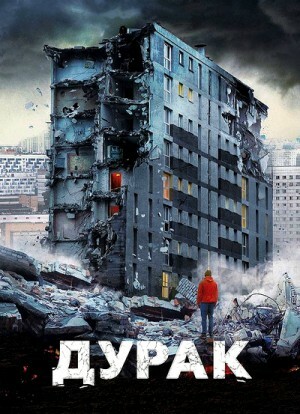 Dima Nikitin (Artyom Bystrov) is a plumber, who is pursuing a degree in order to possibly gain the promotion that will allow his wife and child to live decently. Both Dima and his father are honest men who have made no enemies. One night, the chief of a building of 800 inhabitants is unable to respond to a notice of a broken water pipe, leaving Dima in charge of the investigation. When he discovers that the old dormitory is at risk of collapsing during the night, he realizes that he must do everything in his power to save them.